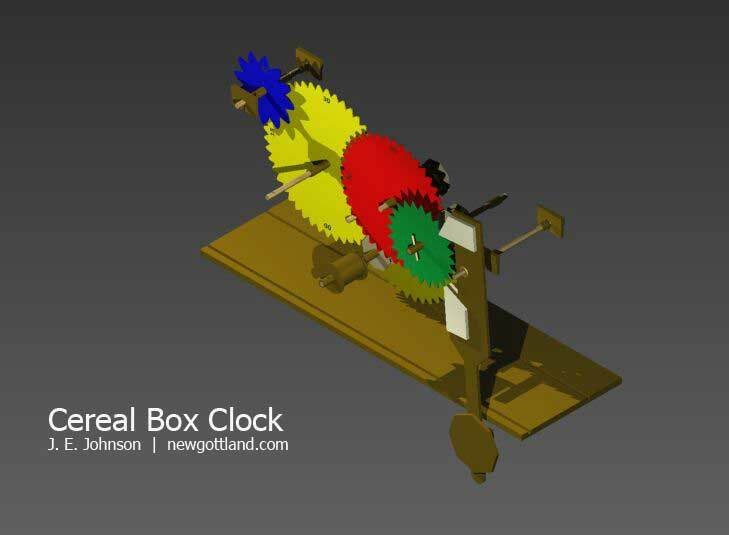 This entry was posted in cereal box clock, craft, making, mechanism and tagged autodesk inventor, cardboard, clock, escapement, gears. Bookmark the permalink. will it show correct time? 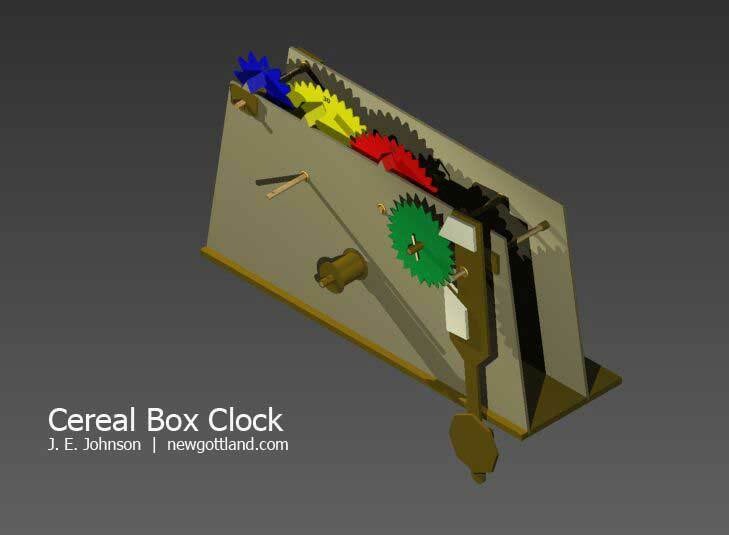 the gears are corresponding to minutes and hours? Yes, it will show hours, minutes, and seconds. 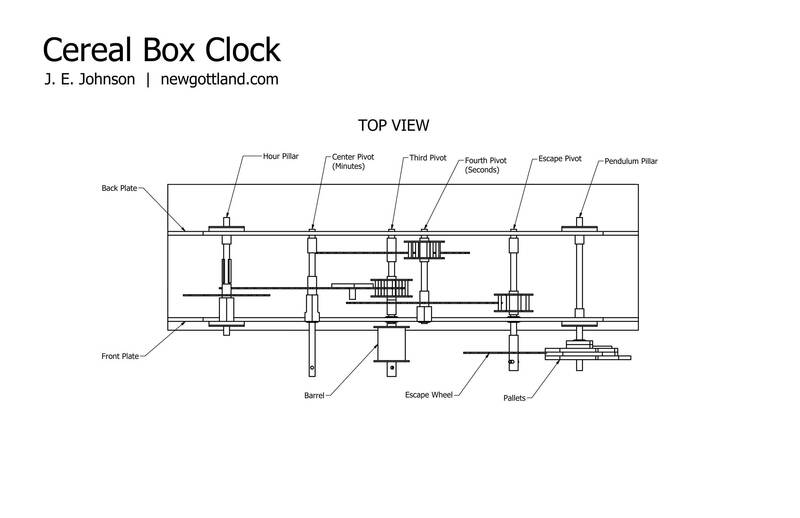 It is an unconventional display but I want to draw attention to how a clock functions while also keeping the quantity of parts to a minimum. Any chance you would care to share your CAD files? 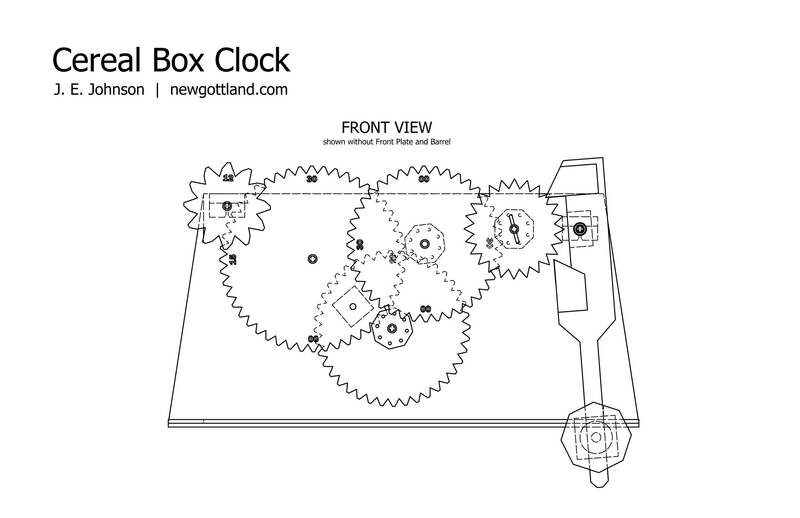 I’d like to do a smaller scale version of this with my 3D Printer and tho there are certainly more sophisticated clocks that have been printed, I like the simplicity of this one as an instructional aide. Are the pdf’s / drawings available?